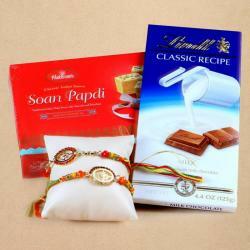 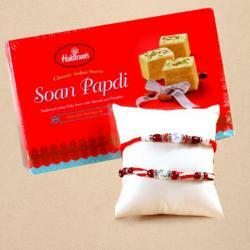 Express your feelings with this lovely Rakhi gift pack from IGP.com which is available for delivery in USA. 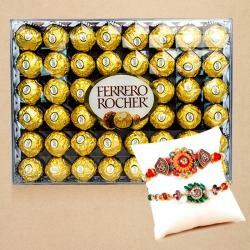 It contains two astonishing pearl work rakhis which are definitely going to charm the wrist of your brother, a pack of gold coin chocolates, Sees Almond Royal Chocolates and Sees Extra Fancy Mixed Salted Nuts. 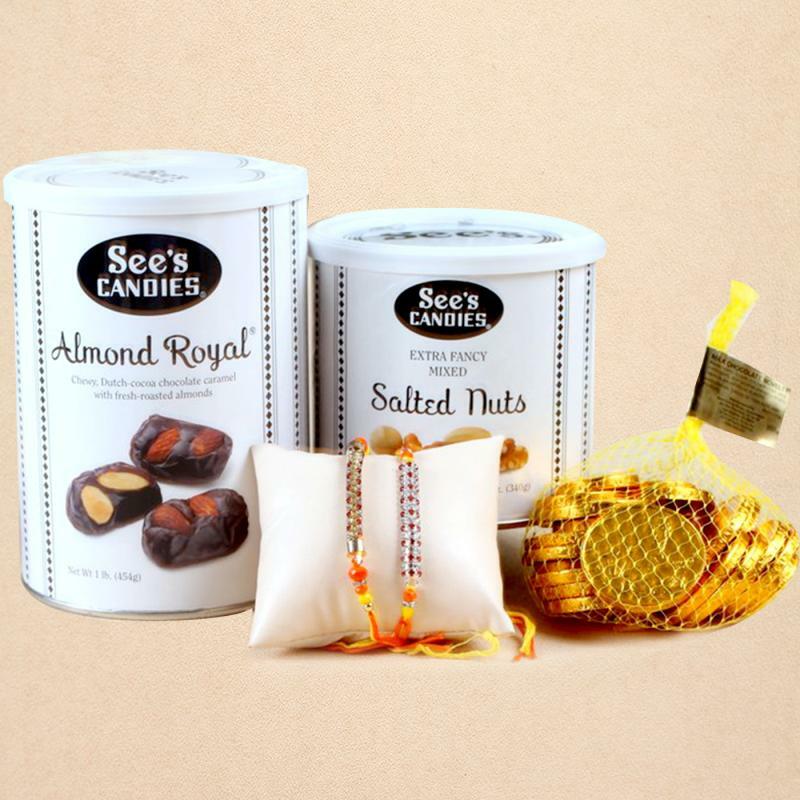 Product Details: Set of 2 Rakhis with Gold Chocolate Coins, Sees Almond Royal chocolate 450 Gms and See's extra fancy mixed salted nuts 340 Gms.